We want your opinion on our music. 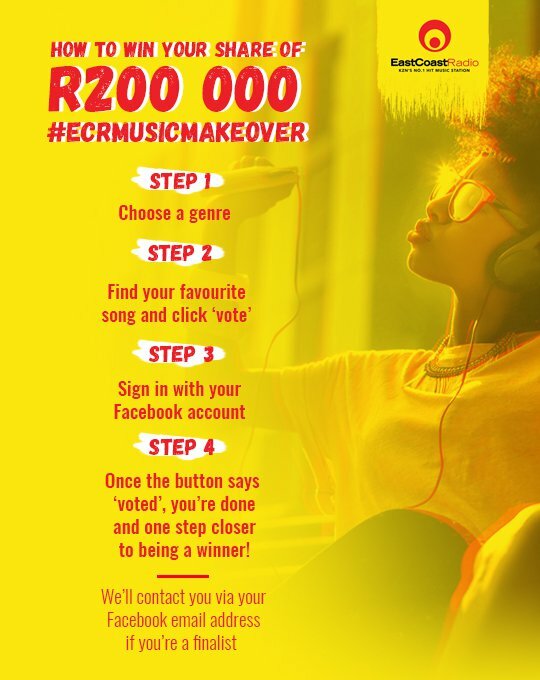 Tell us what you want to hear more of, what you want to hear less of and how we can make the station that’s no.1 for hit music in KZN, even better. We’ll even throw in daily chances to win your share of R200,000. Keep listening and we’ll make your improvements to the music within 28 days from start to finish. Here is the live feed of the top 10 songs, as voted by you. Thank you for voting. Stay tuned to find out if you’re a winner. We will contact you via your Facebook email address. Follow us on social media for additional chances to win. T’s and C’s apply!